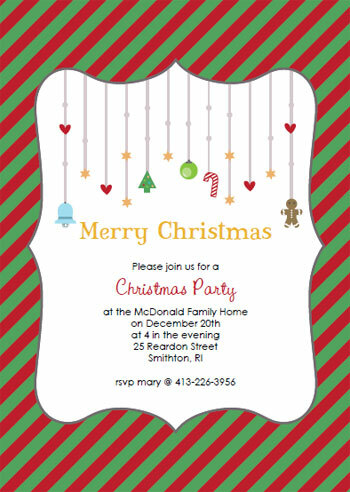 Our editable Christmas Party invitations make a fantastic solution to your holiday party needs. Looking for an invite that is fast and easy? Did I mention that they are free? These templates are customizable! So that means that you can type in your own wording and party info, and change the font style, text size and color to match your party or event. You can even use them as a cool Christmas holiday card. To use the interactive invitations, simply download the PDF file to your desktop. Open the file, and highlight the text you wish to change using the typing tool. Type away! To change fonts, text sizes and colors - while the text is highlighted press the CONTROL key and the E at the same time. This will bring up a typing tool palette. Use teh palette to make all of your necessary changes! I'll be updating these printable invitations on an ongoing basis so do check back often to see what is new! 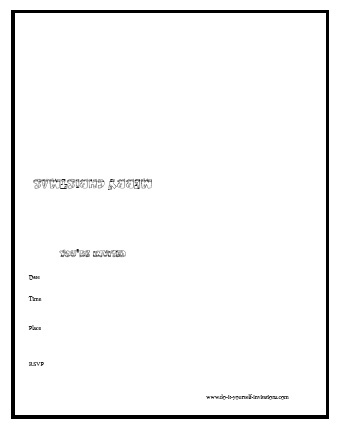 These printable invitations are a plain-as-can-be template with no bells or whistles. Treat this one as a super fun arts and crafts project. 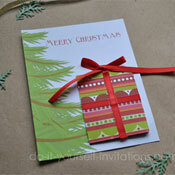 I love to create these for my kids who love to make their own holiday cards and invitations! 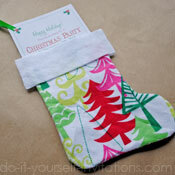 print it onto decorative or colorful paper, add stickers or embellishments, use glitter and/or paint. 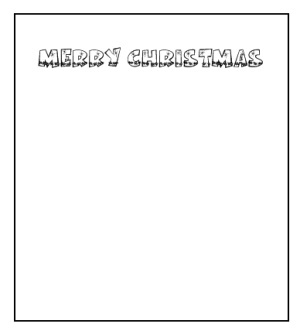 The font I used for the front of the card is perfect for coloring in with glitter or metallic pens to decorate the card. The font is called Bodie Holly and you can download it for free by going to 1001 free fonts. 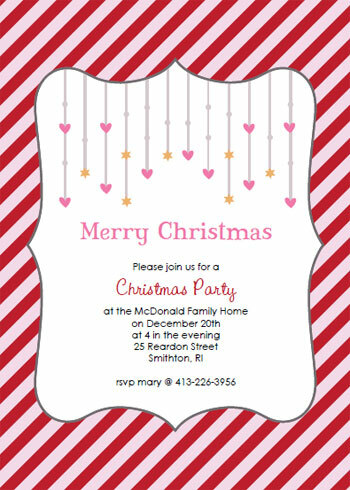 This printable template can make both quarter page fold invitations as well as a regular style card. For quarter page fold just print onto regular weight 8 1/2" by 11" paper then fold them into quarters. To make a regular open-shut folded card print onto 8 1/2" by 11" cardstock, then print again onto the opposite side of the cardstock facing upside down (opposite from each other). After you have printed onto the cardstock just cut the paper in half and fold to create two cards out of one sheet of paper. After folding, decorate the invitations!